This week’s photo features a rather famous alluvial fan, the Badwater Fan just south of the tourist stop in the lowest spot in the continental United States (at -282 ft) in Death Valley National Park. 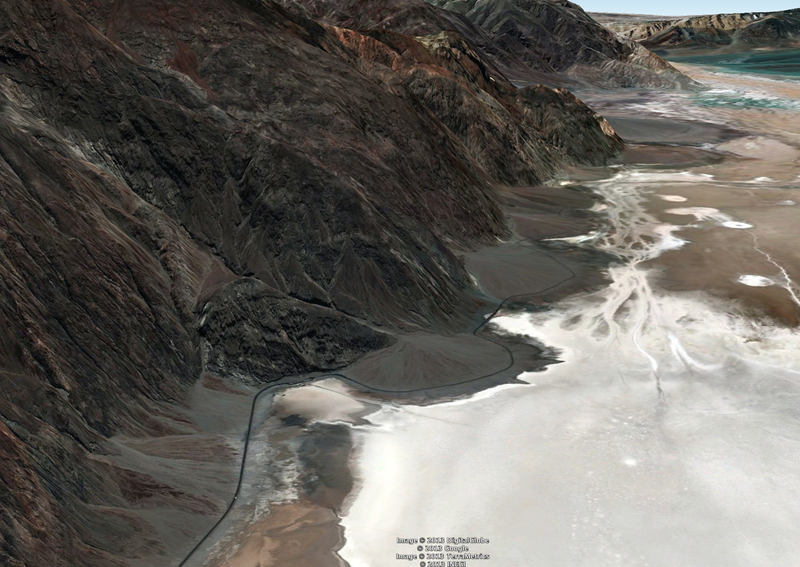 The east side of Death Valley has numerous small and steep (for depositional systems) alluvial fans. These piles of sediment are aggrading as fast as they can to keep up with the basin dropping out from under them. Further evidence of the movement along the boundary fault (between the uplifting range and the downdropping basin) are the fault scarps in the photo above. Good stuff. Here are a couple GoogleEarth snapshots of this fan. More photos from a trip to Death and Panamint Valleys here. Brian – we must have been right on your heels. Good seeing you on Aguereberry Point. We survived the trip to Ubehebe with only 3 flat tires. Bob, yeah it was great to run into you out there. Small world! Chris … good question. 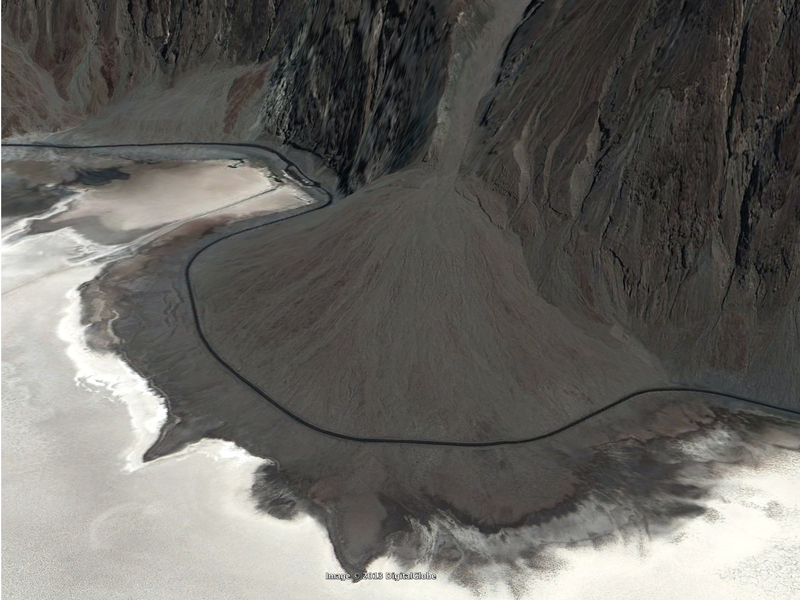 I imagine that every now and again there’s a new debris flow lobe that covers the road, but I don’t know how frequently that happens. I’d like to see that while it happens (from a safe vantage, of course).